Doing a compilation mastering gig this week for our friends at Sepiachord, who will be releasing their first commercially-released comp, The Sepiachord Companion, on Devil’s Ruin Records. I must say, “mastering” is sure a heck of a lot easier when you don’t have to (and shouldn’t) do much, if anything – the majority of the tracks are already “there” for the most part (or of the “that’s the deliberate character of the recording, don’t mess with it” variety) that it’s just a matter of bumping things up or down a fraction of a dB here or there so things sound ‘in context’ volume-wise from track to track, playing with the timing of the ‘pause’ between tracks so it sounds musical, and pressing the shiny red button (or in the case of this music, perhaps that’s rusty brown lever), and going off to listen on different playback systems. Not the sort of thing I would have expected to actually be fun, but in this case it (“it” being the “do no harm” school of mastering) is. 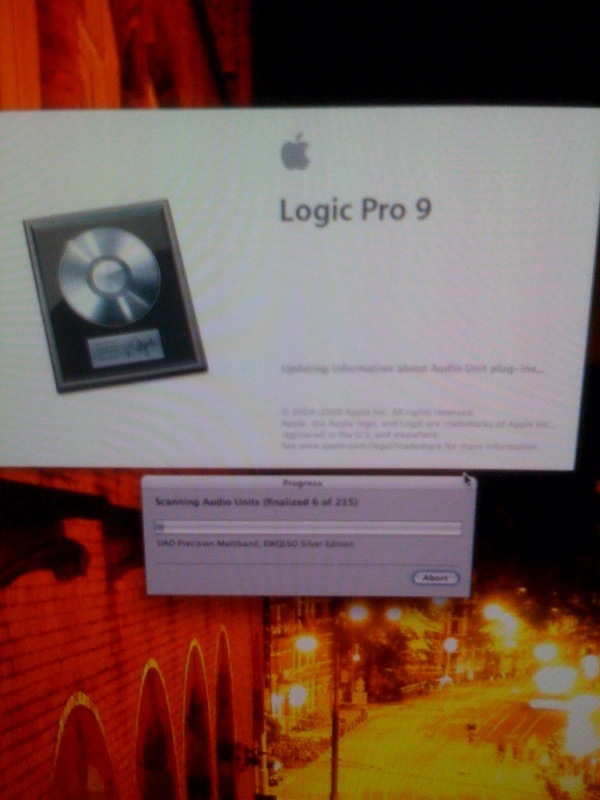 The new versions of Logic, Waveburner, and Mainstage were totally worth the wait, IMHO. I’m just glad there’s a PPC-compatible version that I’ll be happy to “live with” for a while. That desktop background is a vacation snapshot from a hotel balcony in Amsterdam.